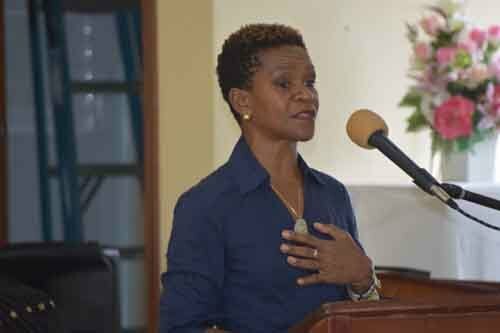 On March 10, 2018, noting March 17, 2018 would mark the 250th anniversary of the massacre in Montserrat of enslaved Africans who had allegedly plotted to rise up against their enslavers to secure their freedom and more specifically, “There is historical evidence suggesting that it was a drunken woman who informed of the plot”; a committee of inspired group of women, led a gathering of women at the Arts and Education Centre in Brades, in an event captioned, “SISTERS GATHERING FOR PROGRESS”. 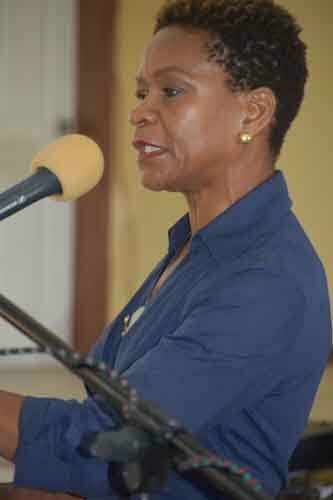 They noted further that International Women’s Day where the call, “let’s all be tenacious in accelerating gender parity. Collectively, let’s all Press for Progress..”, coincided with the period. 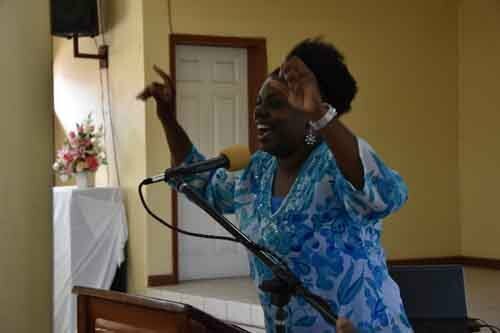 The result, “this year a small group of women have come together under the theme of International Women’s Day-“Pressing for Progress”. 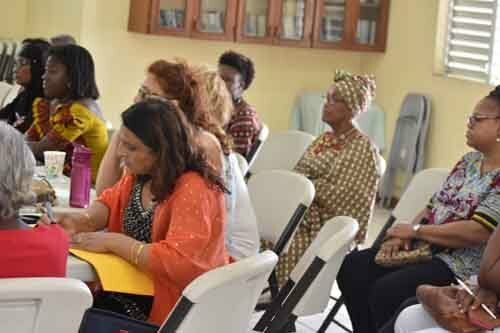 The aim of this event also marking International Women’s Day was to facilitate a gathering of women in Montserrat, to voice their concerns about living in the emerging society and how they could “Press for Progress”. 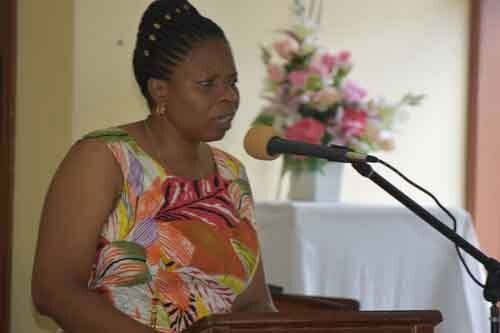 The women gathered and held a five-hour program from 9:30 am-2:30 pm with a 4o minute break for lunch, which actually took place at the end because of the eventual intensity of the event. 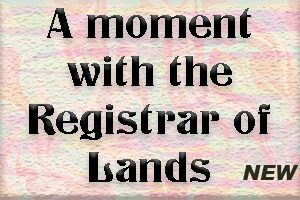 It opened with – A Moment of Praise! 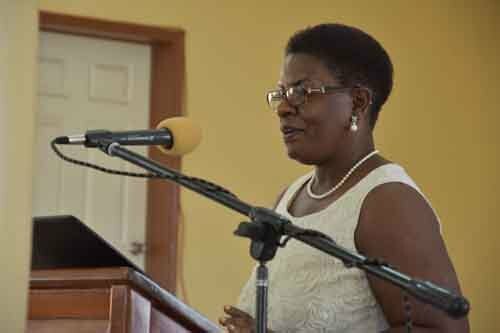 Led by Miss Sonja Smith followed by Opening Remarks by Chair- Dr. Vernie Clarice Barnes and Welcome and Remarks by the Honourable (Deputy Premiere) Minister of Education, Health, Social Services, Gender and Ecclesiastical Affairs. 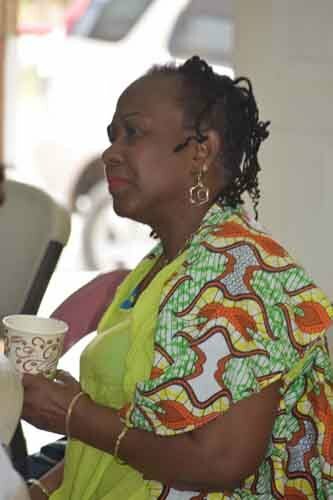 Mrs. Pornpun Pearce, wife of His Excellency the Governor led off with brief remarks, then followed Remarks by Head of DFID Mrs. Moira Marshall which was to be followed by a Keynote Address and Discussion by Professor Opal Palmer Adisa-Award winning Writer and Director of the Institute of Gender and Development Studies, Mona, University of the West Indies. 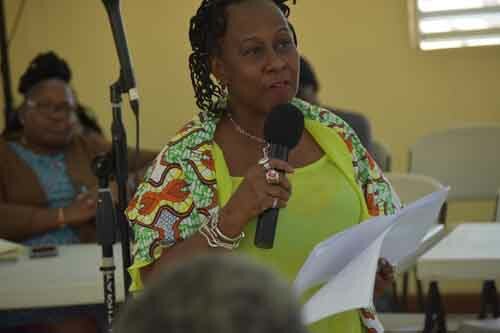 Unfortunately, there developed a hitch in the program occasioned by the late arrival of the speaker which was due to the transport difficulties of travel into Montserrat at that period. 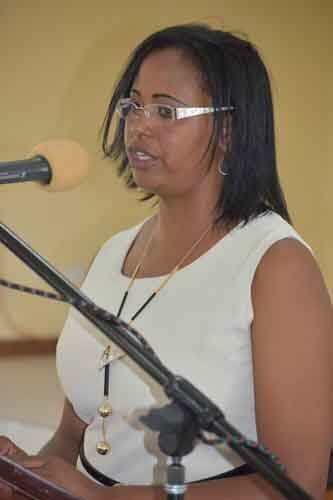 That item forced a change in the program which brought forward some inspiring ten-minute presentations chaired by Mrs Roslyn Cassell Sealey, by several women, all under the theme of sisters “pressing for progress”;, that included, Mrs. Teresina Fergus, progressing in spirit; Miss Denise Silcotte – Young Women Pressing for Progress; Dominican (Dominican Republic) Women Pressing for Progress – Mrs Carmen Farrell; Pressing for Progress in Women’s Health and Community Wellbeing – Miss Violet Browne; Visually Impaired Women Pressing for Progress – Mrs Harjinder Jutle; Montserrat Diaspora Women Pressing For Progress – Mrs. Sandra Charles Harper; Haitian Women Pressing for Progress; Pressing for Political Progress – Hon Shirley Osborne; Women Pressing for Progress in Higher Education-Miss Gracelyn Cassell. 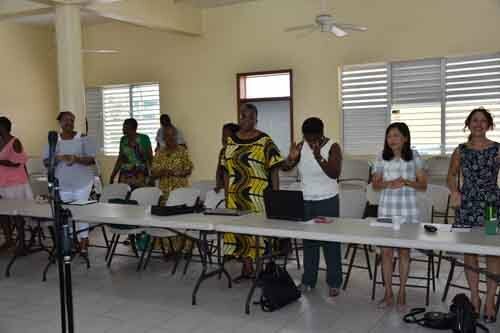 These were followed by other women in the gathering sharing their own experiences and inspirations on the theme. By the end of that session, the keynote speaker arrived and gave an impressive interactive presentation. A follow-up report on the event ably covers the proceeding to include the professor’s presentation. 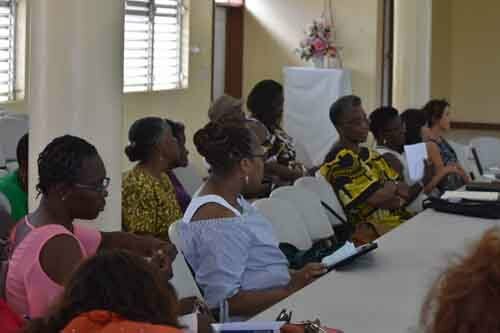 “International Women’s Day 2018 is long gone but echoes of the voices of seventy or more women on Montserrat who gathered to celebrate under the international theme “Pressing for Progress” are still being heard. Women of all nations, classes, denominations, ages, and abilities and disabilities raised their voices on issues that affect them. 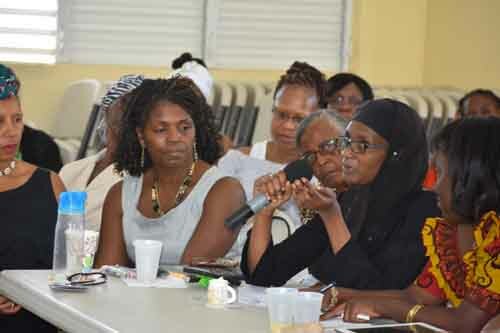 Voices resounded with respect to spirituality, health and community well-being, politics, education, disability, youth, Hispanic, Haitian and disabled women. 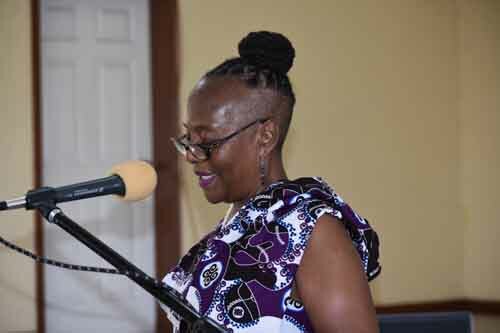 “Keynote Speaker Professor Opal Palmer Adisa, University Director of the Institute of Gender and Development Studies brought energy and clarity to the gathering highlighting, key figures and struggles of the Caribbean Women’s Movement. 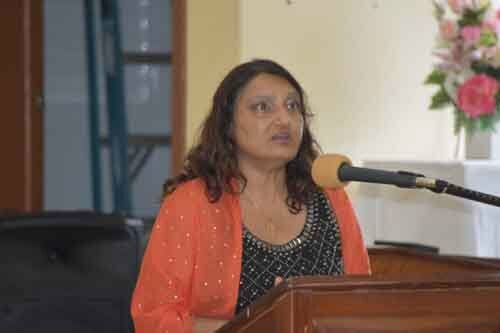 She urged women on Montserrat to identify with those struggles yet be determined to define their activism according to the realities of life on Montserrat. 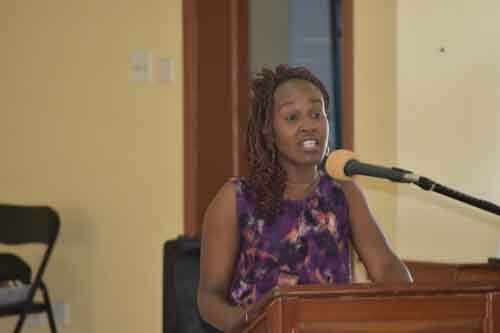 A note followed about the ‘distinguished’ guests who sat at the head table, who are mentioned earlier here, to include the Honourable Deputy Premier and Minister of Gender Affairs, Mrs Delmaude Ryan who in her address informed of the Social Service’s work on Gender and Development. 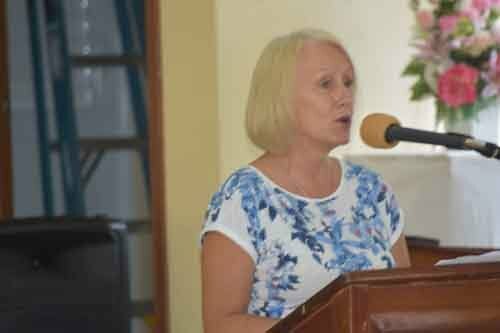 Ms Moira Marshall gave a similar presentation on the gender work of DFID. 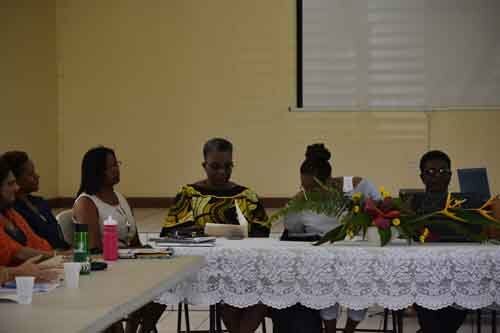 The Sisters for Progress gathering was sponsored by Delta Petroleum and through the self- help efforts of the committee Sisters for Progress. 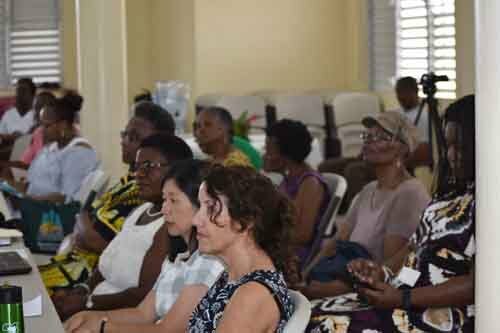 Since then, a very well attended Gender Based Violence Forum was facilitated by Sisters for Progress in collaboration with the Honourable Speaker of the House on May 7, 2018. 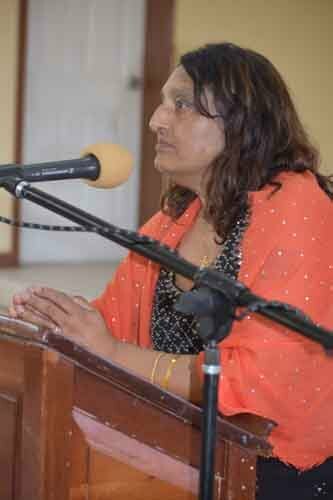 The voices of men and women were heard on this issue. Other fora are planned for the future. Look out for the next one which will be “Gender Issues in Disaster”. The magic and mystery of life is that we can never predict the various turns and paths our life will take. As I sit here in Montserrat on the day of my departure, looking at the rolling mountains, peering into the verdant valley, trying to imagine the lives of those persons whose colorful houses are perched on the hillside, and feeling at peace, I cannot fathom the immense trauma that resulted from the devastating Soufrière Hills volcanic eruption that has diminished the population to less that half, just under five thousand, and rendered more than half the island inhabitable. 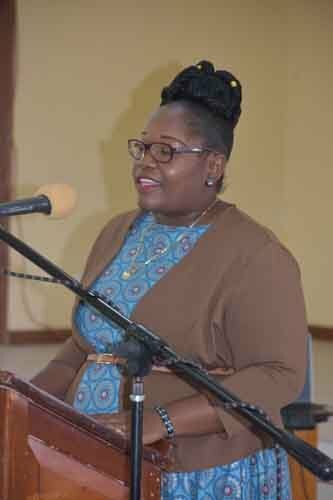 Simultaneous with this trauma is bravery, a sort of defiance on the part of those Montserratians who insist on staying, who have forged ahead and each day is working assiduously to rebuild and develop the society. I am humbled in the face of such valor and such generosity of spirit and robust welcoming. The last time I visited Montserrat was in 2012 with my mother, who recently died, February 21, at the age of 89, so I bring her spirit with me on this trip, and know like the Montserratian who have so warmly welcomed me home, that I will return again to these shores. 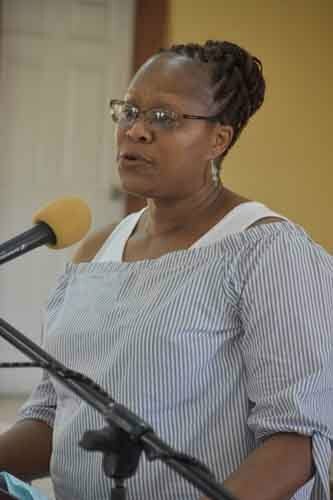 My trip this time was enabled by the Sisters for Progress, a women’s forum, that invited me to give the keynote in celebration of International Women’s Day on the theme # Push for Progress. 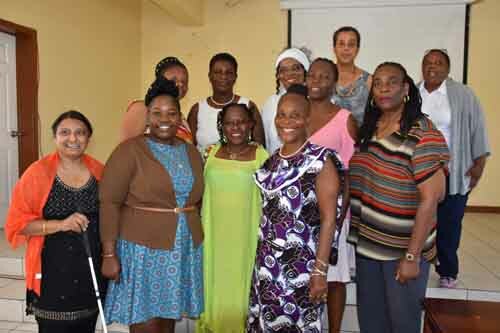 As a gender justice advocate, University Director for the Institute for Gender and Development Studies at the University of the West Indies, Mona, and a writer who for the last thirty years have written about the plight and resilience of women, I pay acute attention of the progress women throughout the Caribbean region have made in the last thirty years and areas where there are still much work to be done. I am gratified that we have progressed from the women in development model was essential twenty odd years ago, but now know we have to create a new paradigm, and have moved to a gender and development model, which engages women and men equally if we are to create a society where all benefit and social justice and equity rule. Five days is but a short time, but careful planning can allow one to accomplish a great deal, make inroads, but for me connect and speak to and with a wide variety of women and a few men. In all of this, literature is important so I have shared and donated two copies of my latest books, Love’s Promise, a short story collection, and Look! A Moko Jumbie, a children’s picture book, to the library because I didn’t just want to come and leave, without leaving a presence. I also enjoyed working with the early childhood education students at the Open Campus and sharing with them why gender sensitivity, diversity awareness and inclusion are so important for teachers who are given the important task of nurturing and guiding the minds of the next generation. 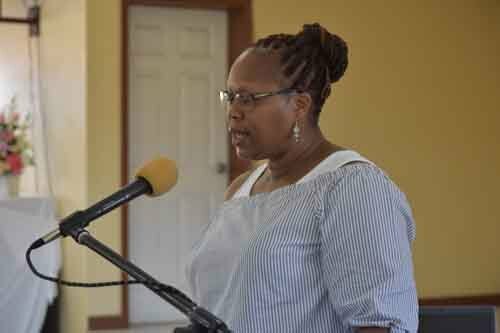 I really enjoyed reading from my poetry collection, I Name Me Name, and the above mentioned short story collection, to the group who gathered at the invitation of Dr. Clarice Barnes at her Ginger Rock home, and I was especially stimulated by the conversation and sharing that followed the reading. Then there was the interview that Dr. Barnes conducted for “Under the Tamarind Tree,” so reminiscent of a life that is past, but still exist. And all the activities, some of which I was able to attend surrounding the two-week St Patrick’s activities in which Irishness, ironically, is celebrated though the Africaness which is undeniable in Montserratians. Like the rest of the Caribbean, Montserratians are a resourceful people, kind and gentle, braver than smouldering rocks, more hopeful and optimistic than a brand-new day, endearing and pushing forward to leave a legacy of their existence. I applaud each and every one of you, and thank you for welcoming me to another Caribbean home.